After a serious of biopics on political leaders, like NTR, Accidental Prime Minister and Thackeray are out in theatres, another film based on the legendary politician is gearing up for the release soon. 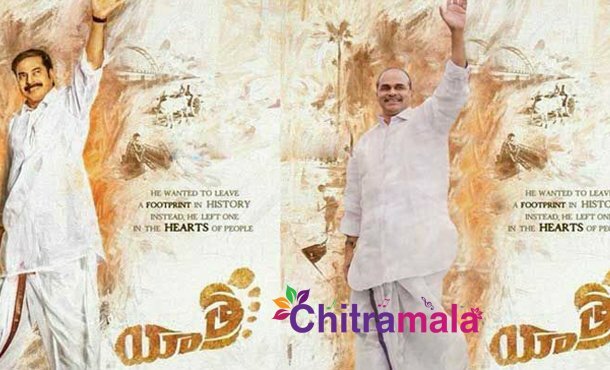 Made on the life of former Chief Minister of Andhra Pradesh YS Rajashekhar Reddy, the film Yatra is set to release worldwide on February 8. Directed by Mahi V Raghav, Yatra features Malayalam superstar Mammootty in YSR’s role. Speaking about the film, Mahi said that he took inspiration from YSR’s life and made this film in a cinematic way. Thus, it is not exactly a biopic. The film only features main incidents in the life of YSR. When asked about the role of Chandrababu Naidu in the film, Mahi said that he didn’t require Babu’s role for the story he has in mind and hence, the film will not feature Babu’s part. Noted actors like Jagapathi Babu and Anasuya played pivotal roles in this much-anticipated film.